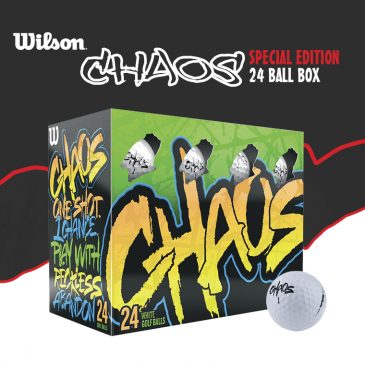 If you BUY 288 printed Wilson Chaos Balls you'll receive these great FREE giveaways which are perfect for golf day prizes! If you are looking for a new golf ball that offers you confidence around the green, then look no further. The new Wilson Chaos offers a calming feel around the green in addition to maximum power and distance off of the tee. Freight: Minimum freight charge of $30 applies to one metro location.